3100 was the Trek Motel in its previous incarnation. 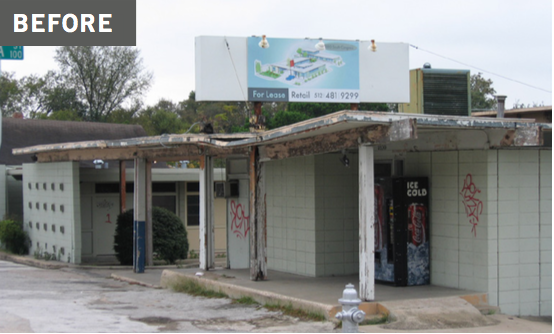 Situated along the old Austin/San Antonio Highway, the once-busy rest stop fell into disrepair and was turned into a tire store in the front with efficiencies rented by the week in the back. 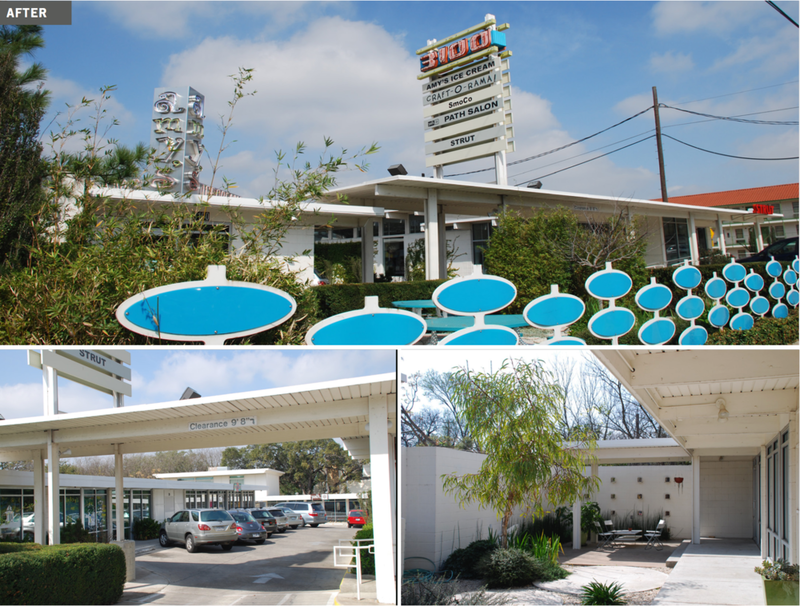 The buildings had great mid-century bones and made for an excellent small-scale retail center on up-and-coming South Congress Avenue. The former manager’s quarters were converted into a chic loft-style apartment. The goal was to highlight that 50’s style and give the neighborhood a great place to shop, snack and do business. In 2005, Daryl Kunik and designer Michael Hsu were honored with the Heritage Society of Austin’s Merit Award for breathing new life into the old motel. Improved Area: 7,592 sq. ft.
Land Area: 18,925 sq. ft.
Sign up with your email address to receive leasing info and future avaibailities. For job inquiries please email us at careers@causmg.com.